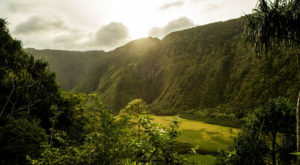 From campsites nestled among the mountains to those skirting the edge of the beach, Hawaii is home to some of the best campsites in the Pacific. 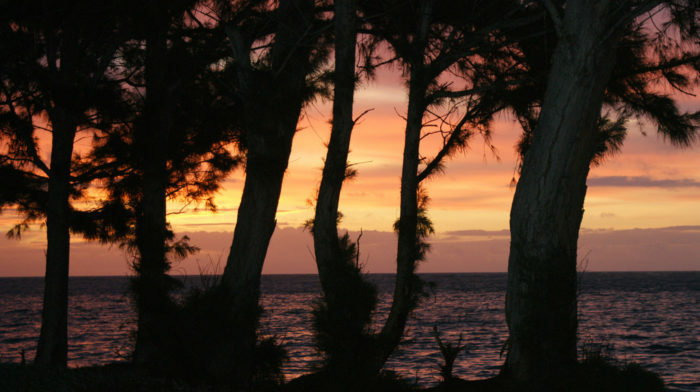 Is a Hawaiian summer complete without at least a weekend of camping on the beach? 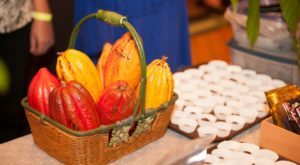 We think not, and we know just the place. While the islands are home to countless inland campgrounds — usually at our incredible state parks — perhaps even better is pitching your tent in the sand, listening to the waves crash against the shore while you fall asleep, and jumping into the ocean just seconds after you wake up. 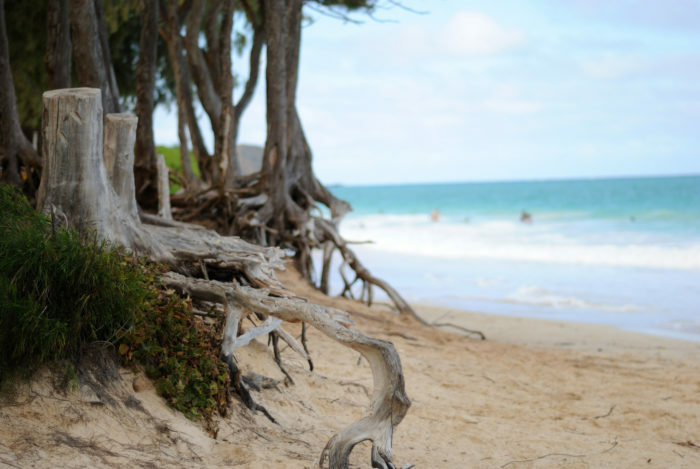 You will undoubtedly find beach campgrounds across the Hawaiian Islands, but this massive family campground on Oahu is one of our absolute favorites. 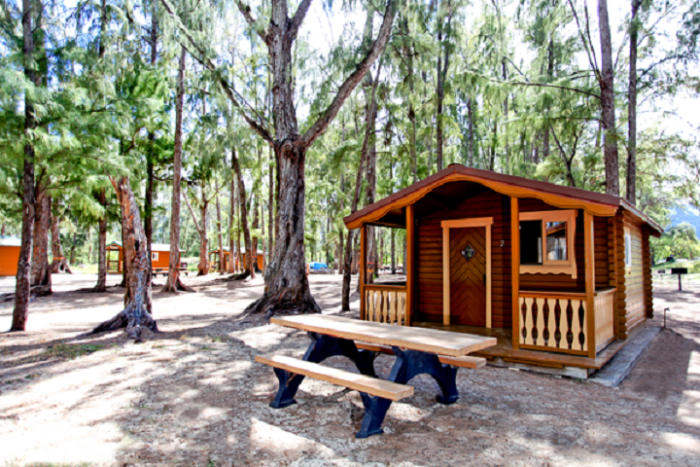 With more than 230 campsites and cabins that can accommodate families of all sizes across two separate campgrounds just steps apart, this campground is larger than more than half a dozen of Hawaii’s smallest towns. Let’s take a look, shall we? 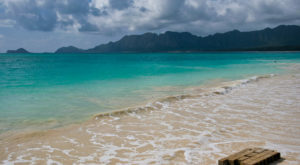 Located on Oahu’s windward coast far from the hustle and bustle of Waikiki is this phenomenal slice of paradise with miles of sloping white sand backing up to the seemingly endless azure sea on one side and two stellar campgrounds on the other: Bellows Field Beach Park and Bellows Air Force Station Beach. 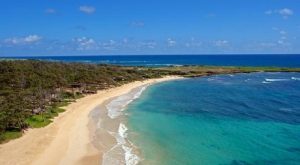 During the week, this beautiful beach is used as a military training area, but on weekends, fifty campsites open up for residents to enjoy splashing in the ocean during the day and listening to waves crash against the shore at night. You can pitch a tent on the public side of the beach at one of 50 campsites on weekends only or rent a cabin on the military side of the beach anytime. 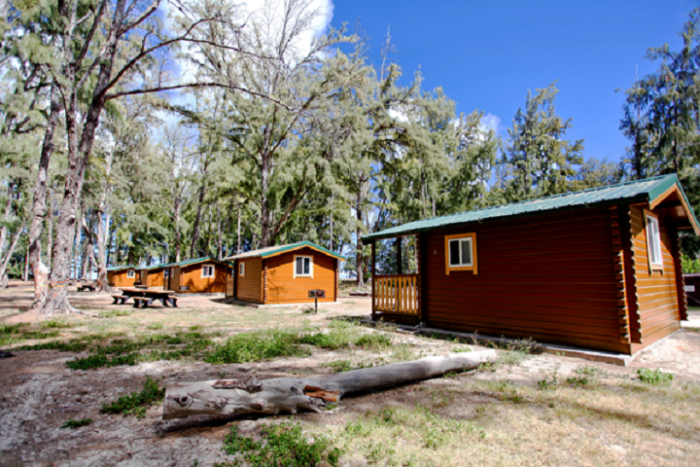 On Bellows Air Force Station, prices range from just $22 for a family campsite to $132 per night for a two-bedroom oceanfront condo with kitchen, air-conditioning, and outdoor patio. On the public side of the beach, campsites will only set you back $22 for a three-day pass (Friday through Sunday). Each campsite can accommodate 10 people, two tents, and three cars. No matter where you choose to pitch your tent (or lay your head), you can be sure that there’s no better place to spend a weekend relaxing and getting in touch with nature. 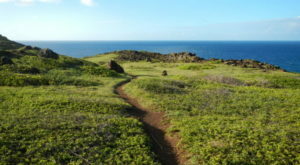 ... and spending your day swimming in the brilliant blue waters of the Pacific Ocean and walking along the beach that seemingly stretches on for miles and miles. 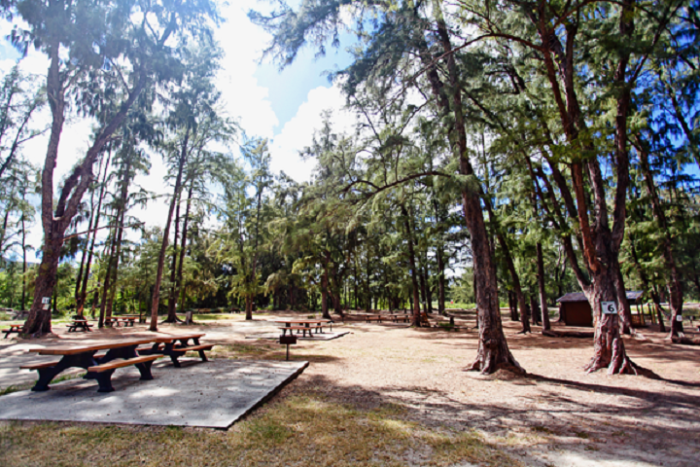 Hundreds of ironwood trees provide much-needed relief from the sun, and the beach’s picnic tables and grills make this a popular destination for weekend retreats, and it’s so easy to see why. So, what are you waiting for? 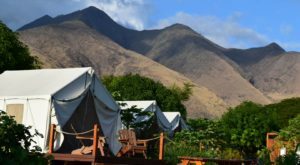 Visit the websites listed below to book your campsite today! 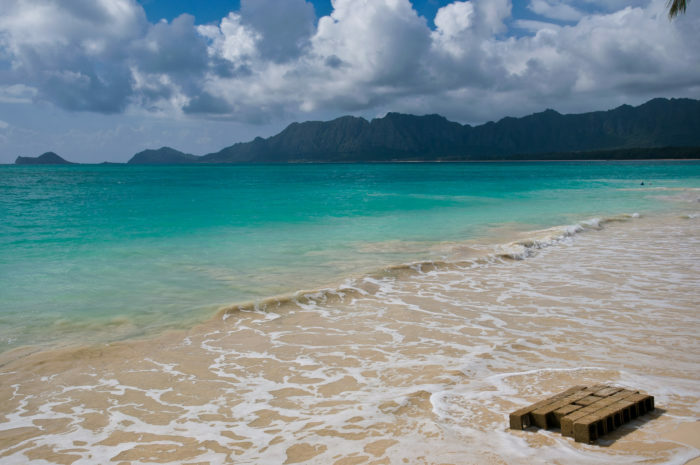 While Bellows Air Force Station isn’t open to the general public, a stay at Bellows Field Beach Park is just as fabulous… and really, the beach is the same! 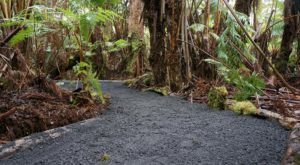 For more information, or to book your camping trip, visit the Bellows Air Force Station website or the City & County of Honolulu Camping Permits site. 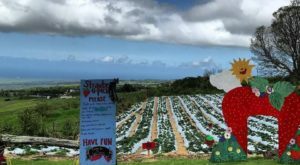 Just don’t forget to book your campsite early — these two campgrounds are easily the most popular on Oahu. 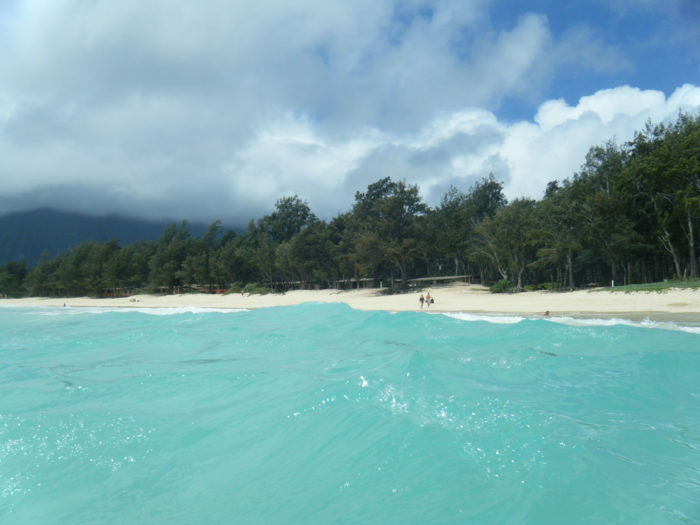 Have you ever spent the weekend camping at Bellows Beach? 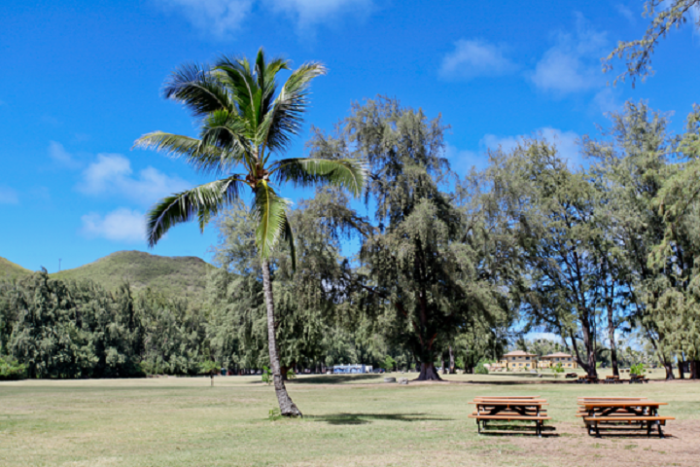 Share your experiences and opinions with us in the comments below, and then check out our other favorite camping destination on Oahu’s windward coast: Malaekahana Beach Campground.